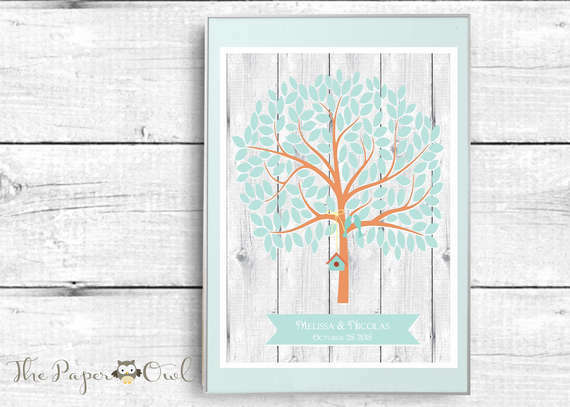 This poster is a fun alternative for a guest book. The guests can all sign the print at the reception and afterwards you can hang it in your home as a great keepsake from your special day. Every guest or couple can sign a leave. The poster comes in a editable PDF file, you can personalized with names and date. This poster has 155 leaves to sign. The size of the PDF file is limited to normal size printing paper 8x11, if you print the poster yourself.